Welcome to Maine's Oldest Curling Club! Registration will open on April 20th.Link to the online registration will be posted here on April 20th. All registrations submitted online from 12:00 am to 11:59 pm on the 20thwill be treated the same. Based on past interest and ongoing inquiries, there will very likely be more teams than spots on the first day of registration, in which case we’ll use a lottery to decide entrants from all those submitted onthe first day. 24 TEAMS, 4 EVENTS with pins and prizes, and of course Larry (bronzelobster trophy) goes to the team who wins the whole shebang. OPEN FORMAT bonspiel, any mix of gender in any order. 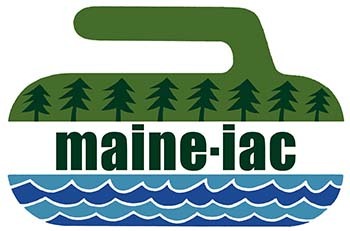 RINK FEE $400 (Canadian $520) - payment to be made within 2 weeks ofnotification that your team has a Maine-iac spot. Rink Fee includes 3 gameguarantee and ALL meals (yes, lobster on Saturday night).First draw is Thursday afternoon at 4pm. Finals and awards will wrap up by2:30 on Sunday. LODGING The Fireside Inn is seven minutes from the curling club, allrooms have an ocean view, and there is an indoor pool and hot tub. $64.99,double occupancy. Call 207-388-2090 and ask for the curling rate. Please join us at the Belfast Curling Club for a weekend of great curling! This is the first rock of the 11:00 AM Sunday finals, Jan. 20 at Belfast’s 9th College Crash ‘Spiel. We had a blast, storm notwithstanding. We had eleven teams from nine schools competing: U. Maine, Bowdoin, Unity, Yale, MIT, Harvard, Castleton, RPI and RIT from 9:00 AM on Saturday through Sunday early afternoon. There was no hurry in taking off because most schools elected to spend the storm night holed up at the Fireside Inn so we fed 43 college curlers Sunday night at the club! And tuned into the Patriot’s game. and Bowdoin/RIT (combo) overcame (I’m learning how to talk sport) Unity for the C Event. Bowdoin is the top Maine College Curling team for 2019 and it will be engraved on the club trophy! Ahh, our village: Paul Burtchell scraped and prepped the ice both mornings! A huge thanks to Jessie Gunther and Diana Hauser for putting on the Saturday lunch, and Fred and Paul for assisting; dinner that night was because of the efforts of Paul Burtchell, Terri Kangas, Barry McClusky and his mother-in-law Lois Stackpole-Alley! Ann Kirkpatrick took over after Saturday’s dinner and closed the club down after the 7:30 draw got off the ice. Greg Eads stepped forward with Meg Haskell for a wonderful breakfast on Storm Sunday, but everyone showed up to curl. Bill Pieske folded in the needs of all these cars and plowed several times during the storm to keep us open. And we didn’t quite run out of cookies thanks to Kathy Cleason, BJ Harris, Abbie Read, Tyrone Townsend, Brenda Boulier, Marcie Porter, Liz Fitzsimmons, Kevin Connolly, Martha Ortman, Jean Beal and Lauren Hallee. There were also generous food donations which meant that we were able to pull off that Sunday night loaves-and-fishes dinner. And all the kids got home safely. It was a wonderful ‘spiel. 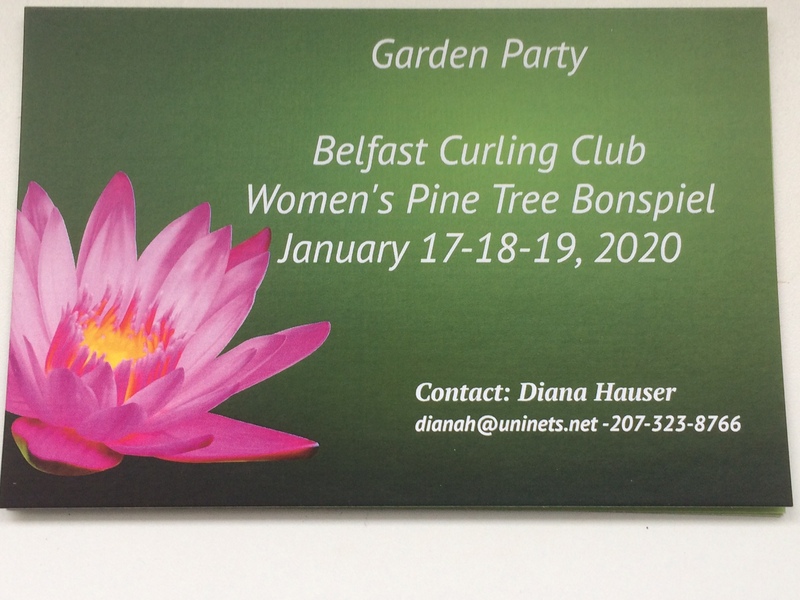 2020 Women's Pine Tree Bonspiel - Save the Date! The 60th Men’s Little International will be held February 14, 2019 thru February 17, 2019. Opening draws on Thursday evening and Friday morning, finals on Sunday at 11:00am. Three game guarantee; four event draw with winner and runner-up prizes. Thursday evening pizza party, lunches available, dinner provided on Friday and Saturday, breakfast on Sunday morning. Post game table snacks and evening entertainment on Friday and Saturday. Club members/guests welcome BUT reserve meals in advance please. Teams entered before Friday, January 5, 2019 will be eligible for a $40 bar credit drawing! Rink Fee of $360 and $60 per extra player (Canadian Teams will pay in Canadian funds for Rink Fee but are requested to pay in American funds for bar/food services). Click HERE for the Invite Letter, and HERE for the signup form. Belfast Curling Club on Maine Public! Just wanted to let you know that our story on the Belfast Curling Club will air on Maine Public Television this Saturday, 2/24,2018 at 2:25pm and 6:25pm. It will be a slightly abridged version because of time constraints in our TV schedule so I am also linking below to our Facebook page where the video is online now as well as our website. Both Facebook and the website will have the full story and will also be easily sharable to the rest of the club. Thanks again for working with us on this story. I think it came out pretty well...I hope you all enjoy it! Located on the outskirts of the Mid-coast Maine city of Belfast, we offer Mainers a chance to participate in a sport that is popular among all age groups. No experience necessary. Just be ready to have fun! Our season begins in November and carries through march. 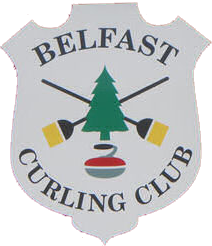 The “old” page will become “The Belfast Curling Club CURLERS Group”. This is going to be a great resource for club members. The settings will be changed shortly so that any member of the group can post to it. POSTS MUST BE CURLING RELATED. This will be a place where you can post interesting curling videos or ask for curling advice. Want to try to get a pickup game going on a weekend? This will be a great place for that. Short on volunteers for one of our events? Ask for help here! 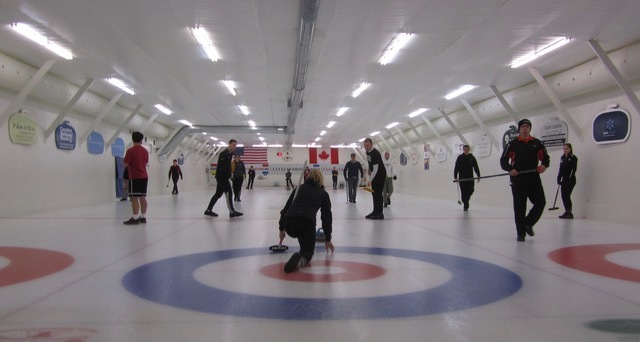 Got some great pictures to share of your team at an away Bonspiel? Go for it! You get the idea - let’s make this an active and meaningful page. Please keep it clean and civil! Inappropriate posts will be deleted by the admins. Here is the link to the group, in case you aren’t already a member. 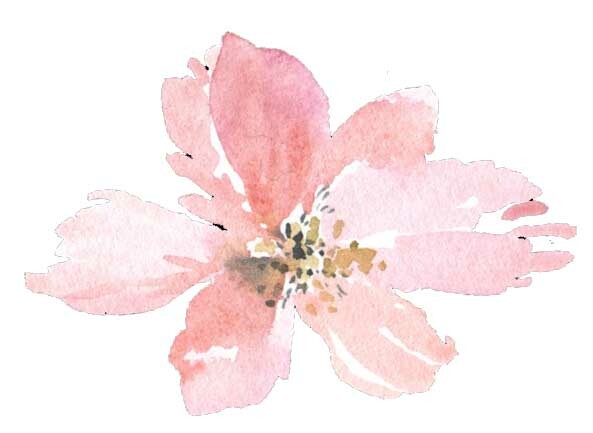 If you AREN’T – ask to join today! If we see some great posts in this group, we will also share them on the official/main page. If anyone has questions, or suggestions let me know!